"Sundancer Cabanas' best kept secret is the incredible snorkeling available at our stretch of the reef. from sandy bay estuaries, turtle grass eco systems and all the intricacies of the reef itself, you could spend hours at a time just experiencing this "jewel in the Caribbean" we call home. It is with great pleasure that Octopus Dive School announces our new location at Sol y Mar Beach Club in Roatan's Sandy Bay. You are going to love our new home. We are so excited that it's hard to know where to begin. The truly important things will not change. quantity and long-term over short-term. Sol y Mar is a beautiful beach with many more options for us to offer you. Managed by the same group that manages The Grand Roatan, their professionalism takes guest experience to a whole new level. As many of you have grown up with us and have families, now you can share this amazing aqua experience with them. For the non-divers in the family, you will find a beautiful beach of clean white sand without auto and motorcycle traffic. You will find a shoreline that is cleaned daily and that allows for wading into the water without giant clumps of seagrass. You'll be surrounded by shady and sunny places for sun-lovers and beachcombers. You'll find shower and bathroom facilities that are clean and open. There are a variety of food options and service that will come to you on the beach. For the Divers in the family, you'll find a larger more spacious facility including a larger classroom area, a larger space dedicated to equipment and a location that's easier to find with plenty of parking. For every kind of diving group, we can now offer many more custom arrangements for accommodations. have many more choices. Plus our location in Sandy Bay is five minutes from shopping areas and less than 10 minutes from the Airport and Cruise Ship Terminal in Coxen Hole. As is our long time policy, we will pick you and your group up personally. Octopus Dive School will be the first dive school you'll find in Sandy Bay along the main road and we hope we'll always be the first dive shop you'll choose for many years to come. were there, specially to Kent, who recognized we were special and who genuinely loved divers and always made you feel welcome. We are grateful to all of the staff there who took care of keeping the facility clean and running smoothly. We are grateful to the staff at the Beach Grill who fed our customers, prepared many meals, and shared many laughs and beautiful memories. their customers. Thanks to Tranquil Seas, Mayoka Lodge and Guava Grove for their dedication to promoting Roatan and the amazing diving along her shore. Finally, thank you so much for the many years you've been part of our family. See you soon at the new location on Sol y Mar Beach. 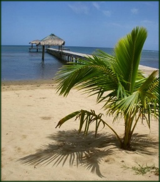 Start by getting a FREE listing in our Roatan Tourism Directory.